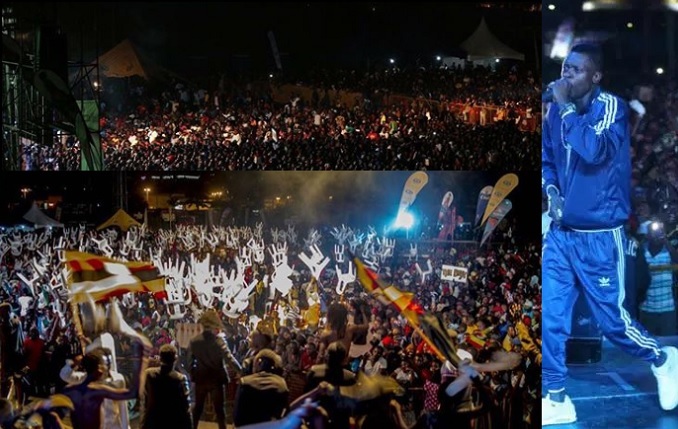 'Tujjuze' is a local word that means lets fill up and that's exactly what happened at Lugogo Cricket Oval over the weekend, it was filled up. Nfanana Zuena, Malangaja, Sipowa, Musomesa and Waguan are some of his hit songs that Gereson Wabuyi aka Gravity Omutujju performed for his fans. 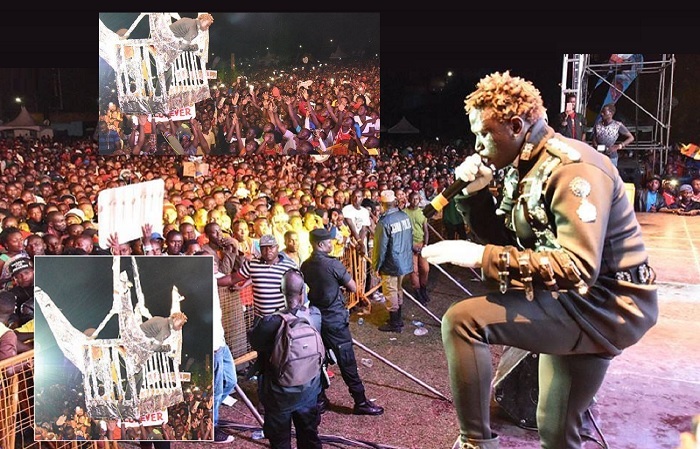 Chameleone, Bebe Cool, Nutty Neithan and Lydia Jazmine were some of the artists that performed along side the raspy voiced singer. "With God everything is possible, I humbly thank you all for the love and support, thanks to my sponsors MTN Uganda, BukeddeTV, Club Beer, Kagwirawo, Rosefoam, Suredeal, Sustech and special thanks to my fans who came through to show love and support for Ugandan music, I really appreciate. Big up Humble Management for the great event organization,I'm humbled"